When you think of CBD products, the first things that might come to your mind are sublingual oils or vaping liquids. However, as cannabidiol becomes increasingly popular in the United States, Canada, Western Europe and Australia, CBD companies continue to innovate and manufacture creative ways to bring its benefits to users. One of the products showing an increasing demand within Australian consumers is CBD protein powder. Simply mixing it with water and drinking it throughout the day can help you relieve the symptoms of anxiety, stress and chronic pain while giving you a boost of energy. CBD for Healthier Minds and Bodies. While protein shakes are usually thought for athletes and gym goers, they can be consumed by anyone who wants to boost their physical and cognitive performance. On one hand, protein is crucial for a healthy diet; on the other, cannabidiol is effective in balancing the endocannabinoid system and regulating the cognitive functions of the brain. After regularly consuming CBD hemp protein for a few days, users report feeling more relaxed and focused, as well as being able to endure longer workout routines. If you are regularly active, cannabidiol can help you avoid sore muscles and joint stiffness due to its well-known anti-inflammatory properties. In the United States, it is still not allowed for CBD companies to claim their products can heal any medical condition. However, the positive feedbacks from thousands of satisfied users can give you an idea of how effective cannabidiol can be. 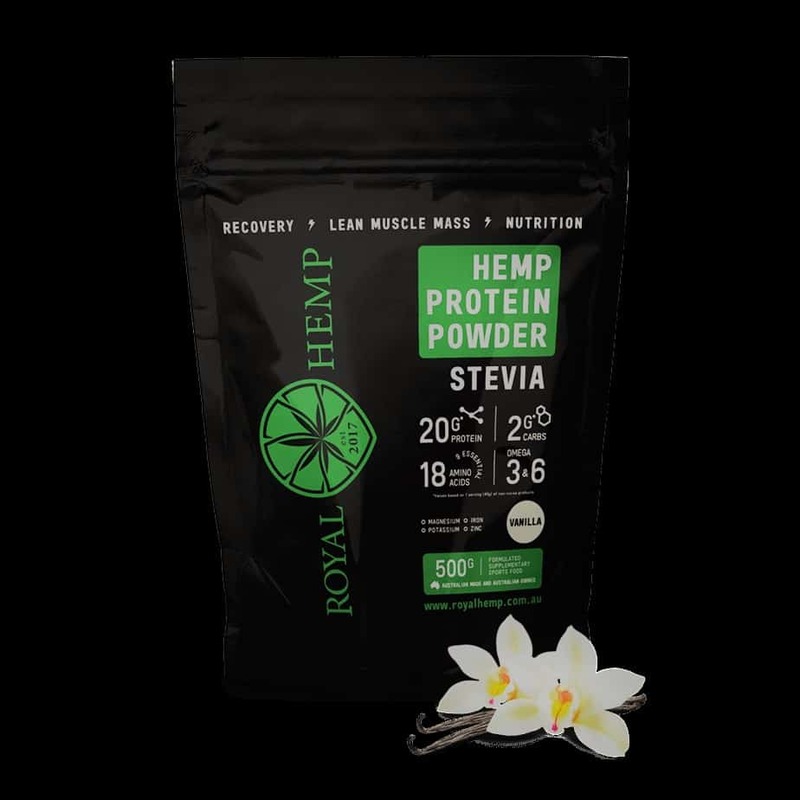 Joining efforts with the already established market of protein powders, growing CBD businesses are now satisfying the needs of both professional athletes and people who want to have healthier and more natural lifestyles. Are CBD Protein Powders Legal in Australia? Although the United States, Canada and many European countries have now legalized cannabidiol products in their territories, Australia still imposes several restrictions on their production and consumption. However, a law recently passed by the Minister of Law Enforcement and Cyber Security makes it legal to import products made from hemp seeds as long as they contain CBD levels below 75mg/kg and THC concentrations under 50mg/kg. Furthermore, cannabidiol has been recently removed from the list of “Schedule 9” substances, making it accessible to a wider part of the Australian population. If you are looking forward to trying the benefits of CBD protein powder in Australia, your best option is to browse through the catalogues of online companies. Many of them offer free nationwide shipping within 2-5 business days. As always, reading previous customer reviews is a great way to ensure their effectiveness.